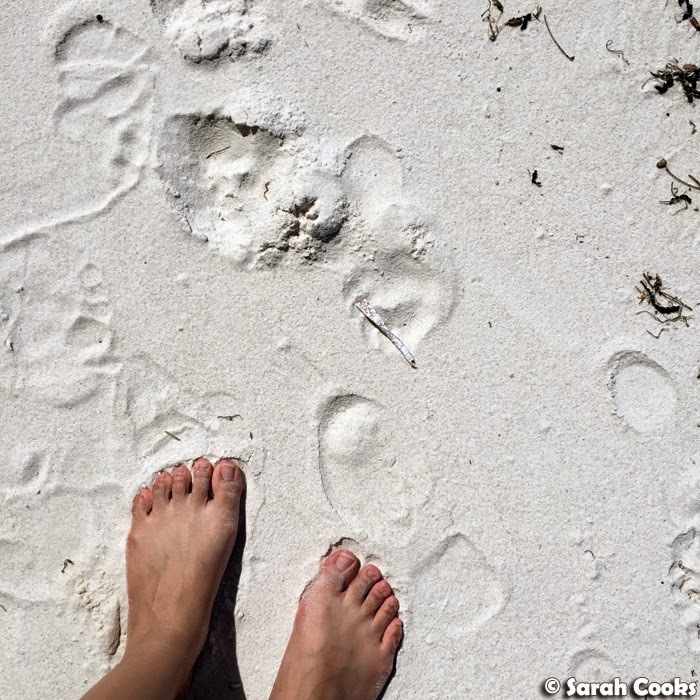 In February, we took a little weekend away with our friend Kimba to Jervis Bay, on the south coast of New South Wales. 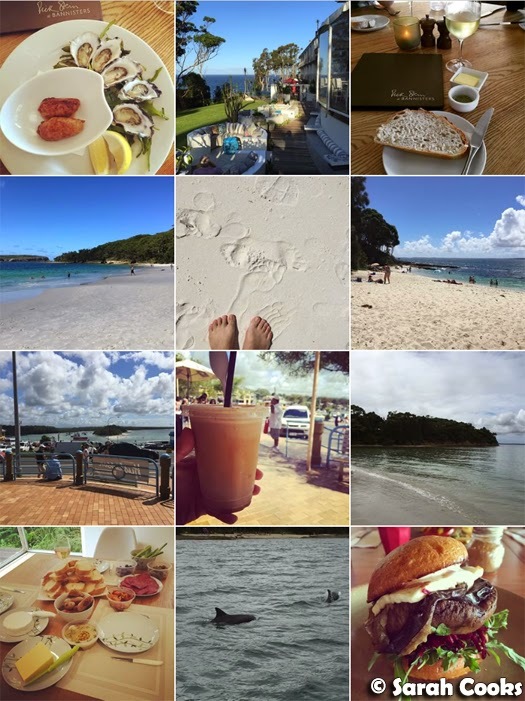 I'd never been before, and didn't know much about the region in general, but was definitely up for a chilled-out weekend of white sandy beaches, blue water, and yummy food! 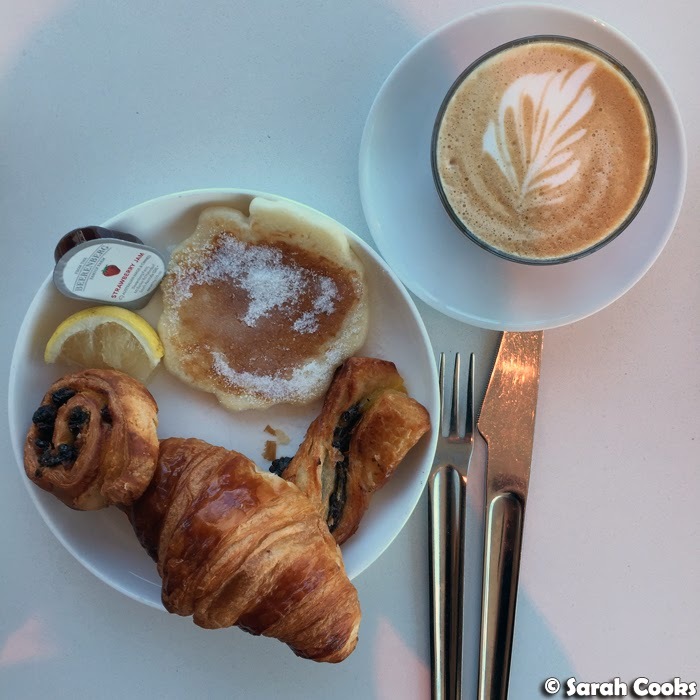 Kimba was able to take us into the Qantas Lounge for breakfast before we got our flight to Sydney. 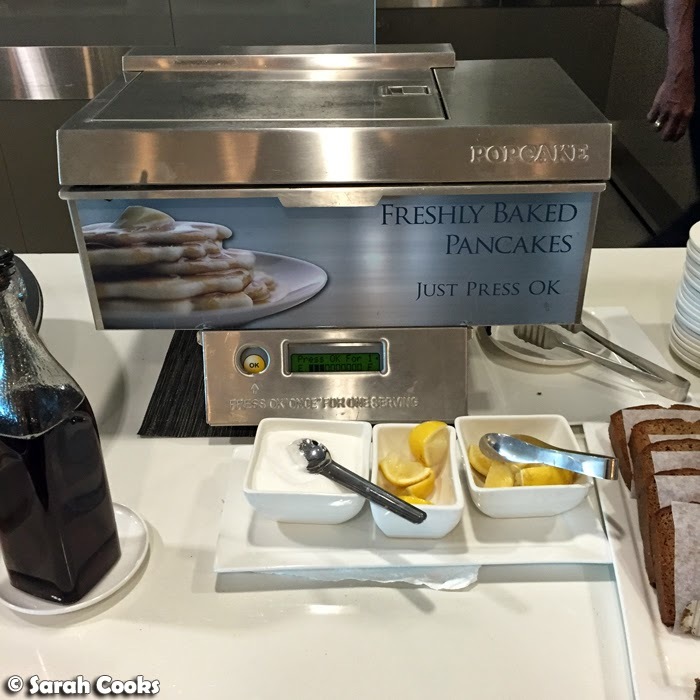 I was possibly a little too excited about the free food, free coffee... and the pancake machine! Welcome to the future, people! P.S. the pancake machine was just ok - it was cool to see it work (it takes about a minute and the pancake just pops out at the end), but it was more of a novelty than a taste sensation. 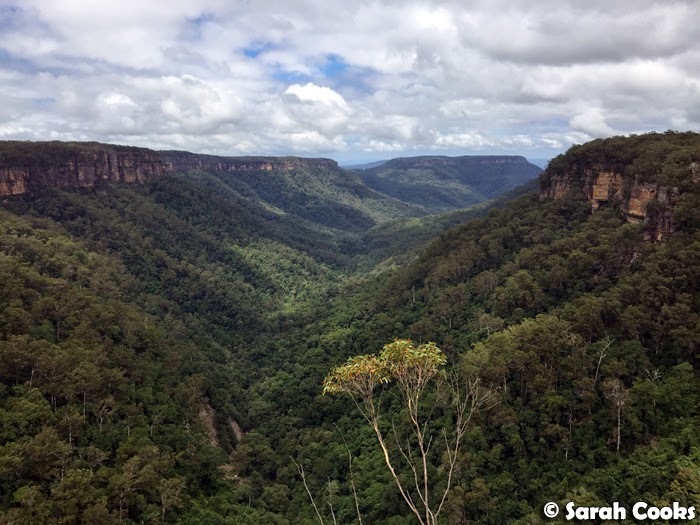 After arriving in Sydney, we drove down the coast in our trusty rented Nissan Micra. 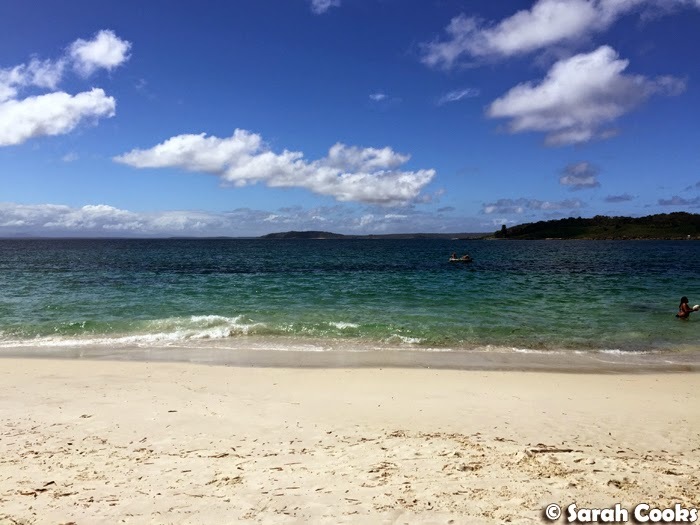 Jervis Bay is just under 200 kilometres south of Sydney, which took us about two and a half hours, with a cheeky stop at KFC at the Albion Park BP servo on the way. What can I say? We be classy laydeez. Y'all know I'm all about the Hot and Spicy, Wicked Wings or the Double Down, but the Kentucky Burger was pretty good too! 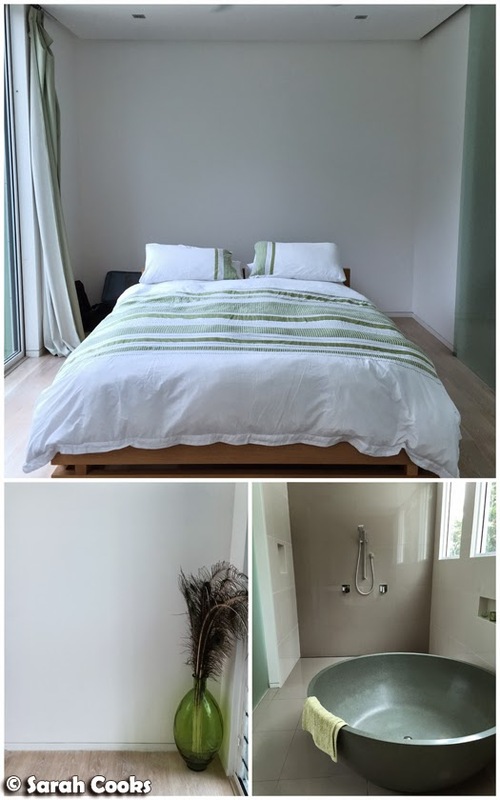 We stayed at Salt on Silkwood, a beach house close to Callala Beach. It was comfortable, quiet and very pretty. 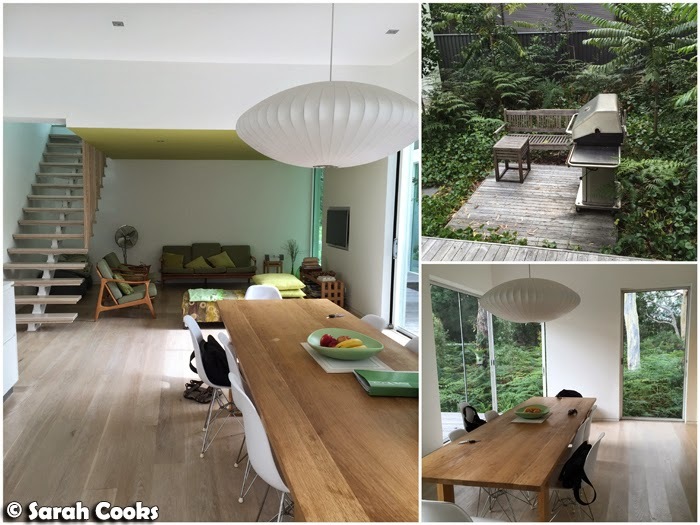 The owners were also very responsive (via email) with restaurant recommendations, local activities and so on. 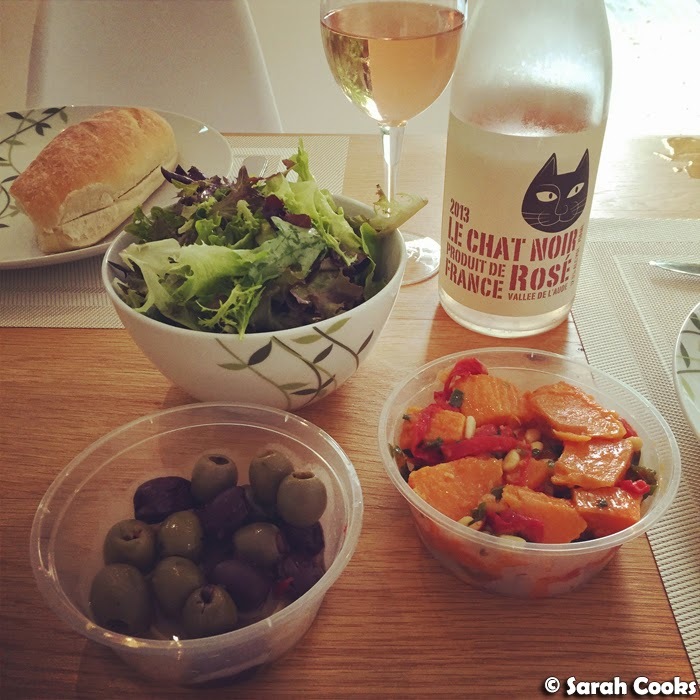 As I said above, it was a really chilled out weekend - on two of the three nights we picked up wine, meat and nibbles from the local supermarkets and butchers, and ate them in the beach house. I love picnic dinners! 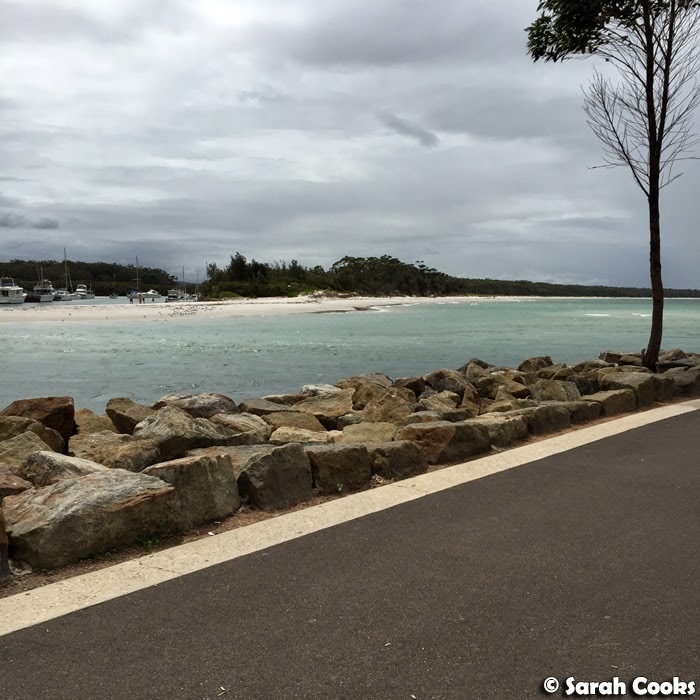 We spent our second day in Jervis Bay in Huskisson, which was the biggest town close to our accommodation. 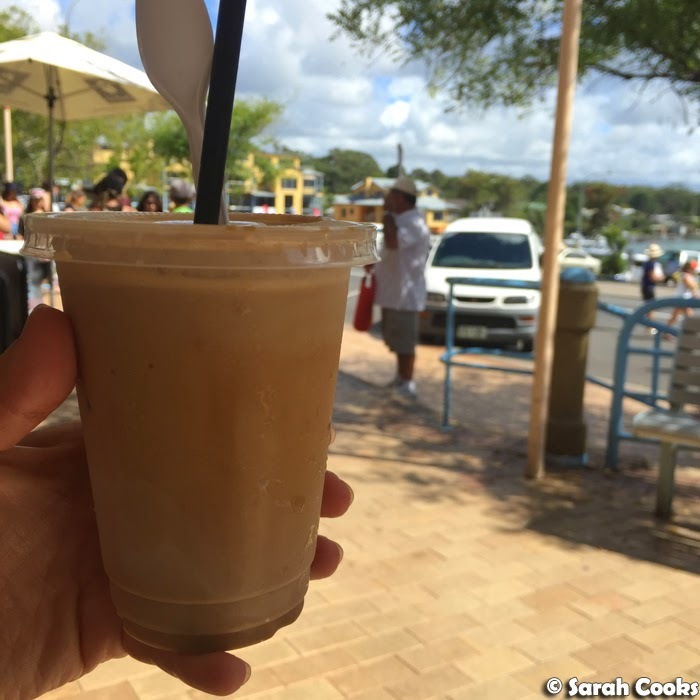 There are lots of restaurants, cafes and shops here, as well as numerous tour operators offering boat rides around the bay. The weekend we were there, there happened to be a big triathlon on, so there were heaps of roadblocks in place and the town was crazy busy! 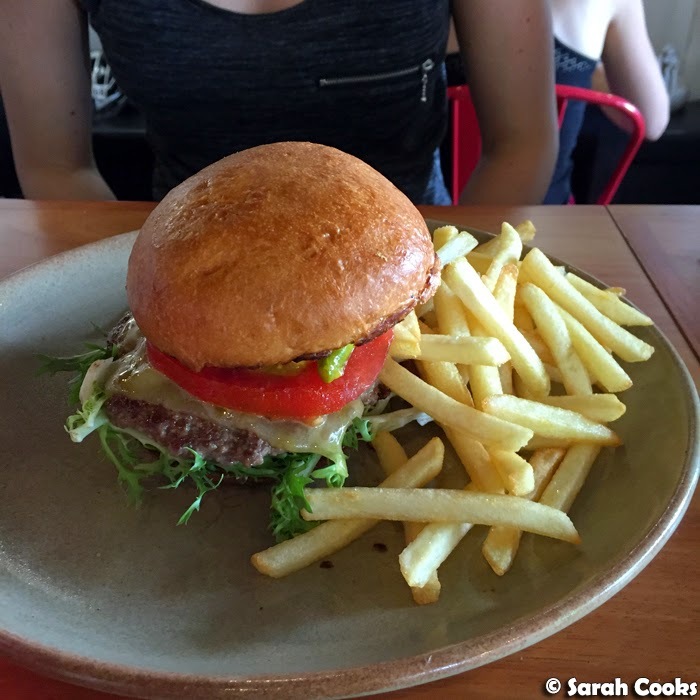 Full honesty here: I was not expecting much from the cafes in a touristy beach town, but we came across a really fabulous cafe: 5 Little Pigs (66 Owen Street, Huskisson, NSW 2540), where we had lunch. 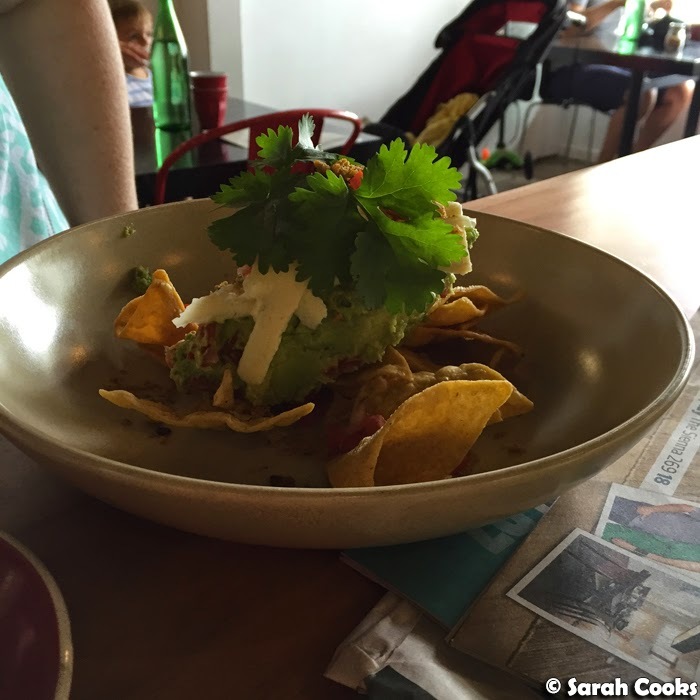 It had a bit of a Melbourne vibe going on, friendly staff, great food and good coffee. 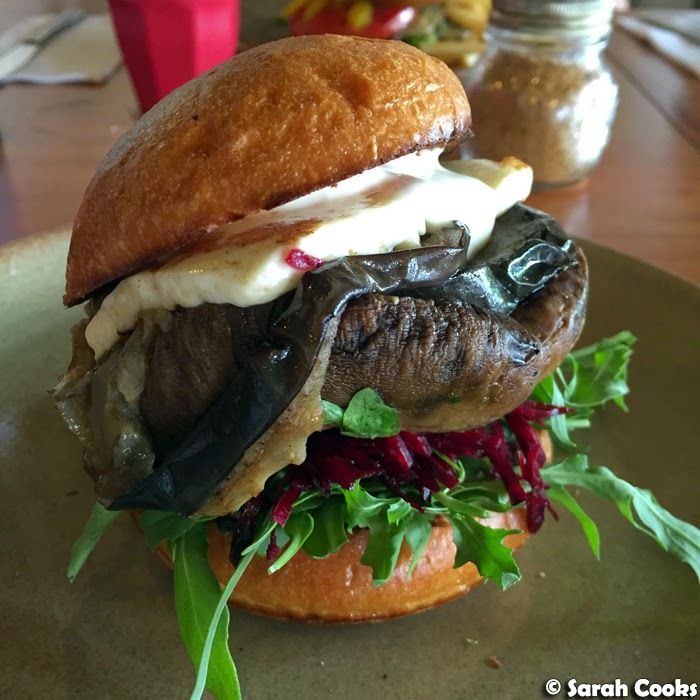 My mushroom burger was seriously awesome - a lightly toasted brioche roll with a juicy grilled field mushroom, a slice of eggplant, haloumi, rocket, beetroot, aioli and basil pesto. Super delicious! I have no idea why this was $14 and the cheeseburger (with chips) was only $10, but it was still a fab lunch. 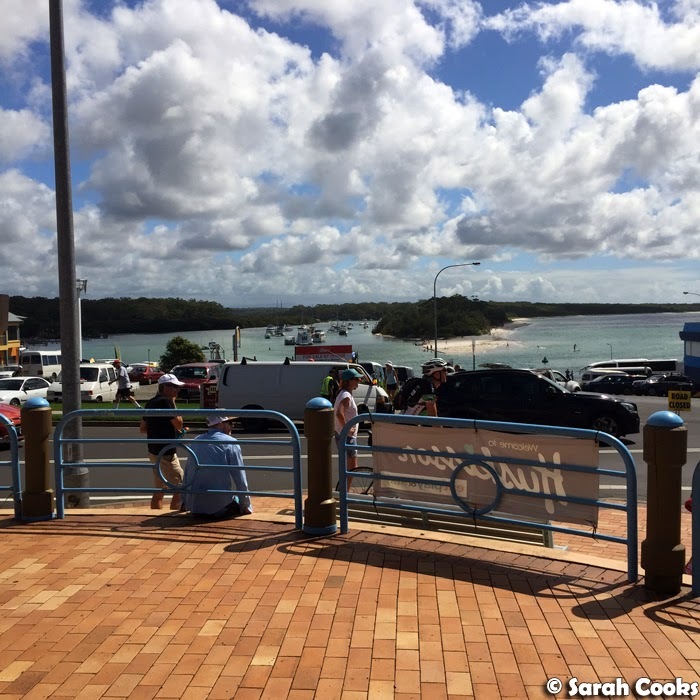 After lunch, we took a dolphin watching tour - there were quite a few different boat tours on offer, with various companies having offices on the main street in Huskisson. I would suggest just walking up and down and picking one that takes your fancy. 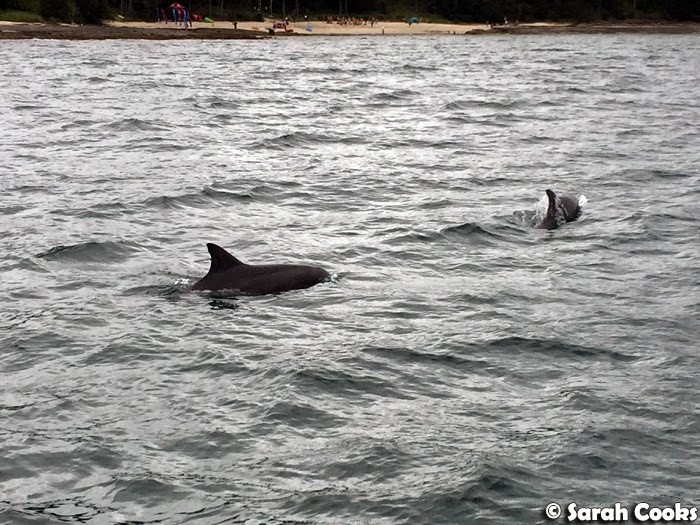 We got to see wild dolphins - yay! 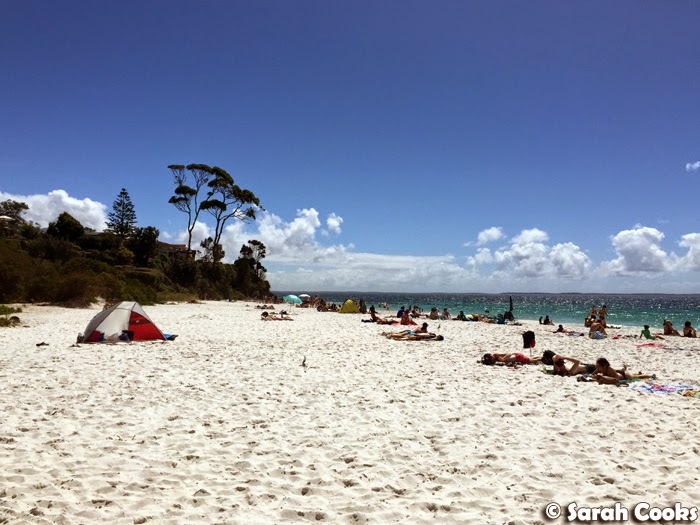 Our third day in Jervis Bay was a beach day! Hooray! 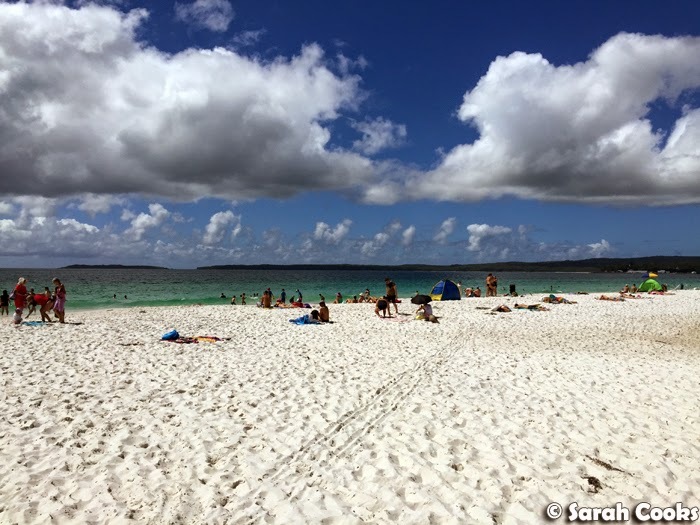 We drove down to Hyams Beach first for a look-see, which is famous for being in the Guinness Book of Records as having the whitest sand in the world. 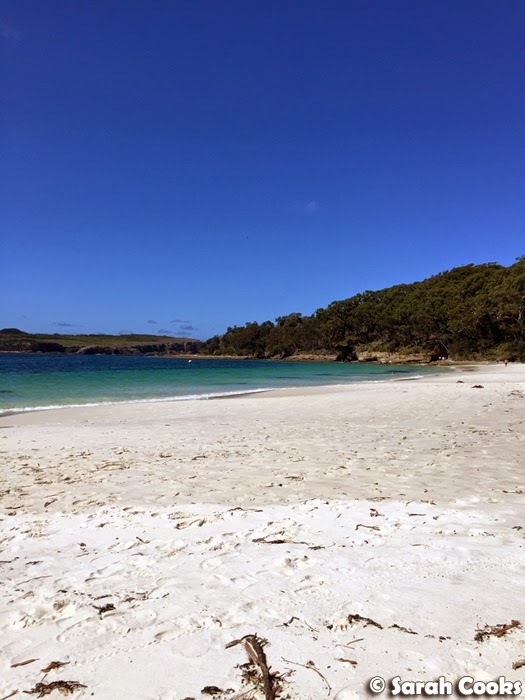 We then drove to Murray's Beach, where we spent most of the afternoon, swimming, sunbathing and relaxing. It was unbelievably gorgeous! 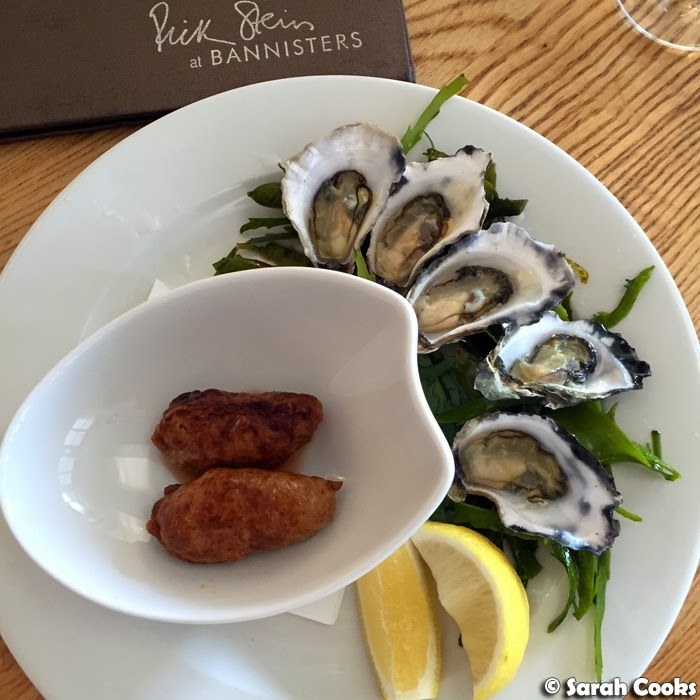 Dinner that night was at Rick Stein at Bannister's! 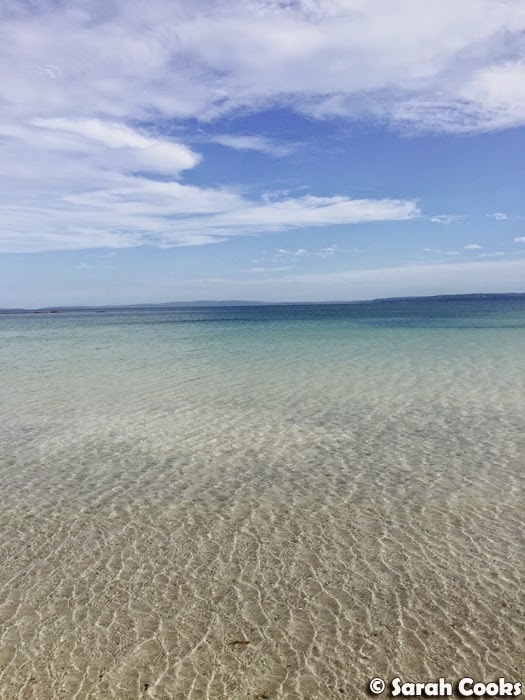 I'd done almost no research before the trip, and even though I was vaguely aware that Rick Stein had a restaurant "somewhere in regional New South Wales", it never crossed my mind to look it up and see if it was close to Jervis Bay. However, when we were driving from the airport to our accommodation, I saw a billboard for the restaurant and literally squealed! (Apologies to Kimba who was driving at the time!) 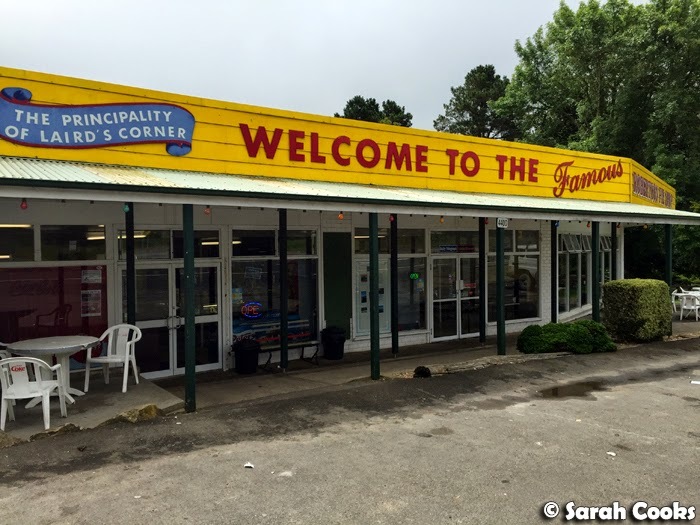 I googled the restaurant as we were driving, and saw that it was only an hour further south of Jervis Bay. Luckily the girls were up for it, and I booked us a table for our third and final night away. Hooray! 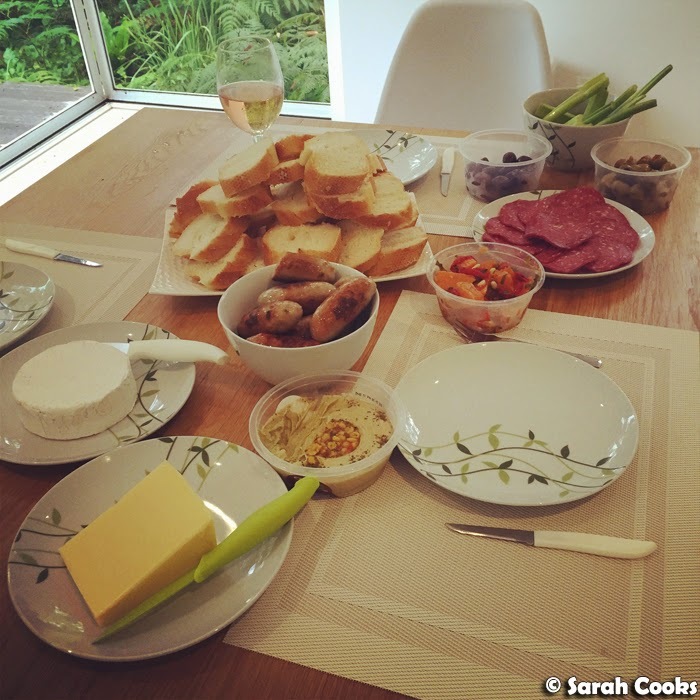 It ended up being a really great meal, and I'll be blogging it in full. Here's a picture of the lovely entrée I had, the Oysters Charentaise - freshly shucked oysters, served with super spicy and juicy sausages. 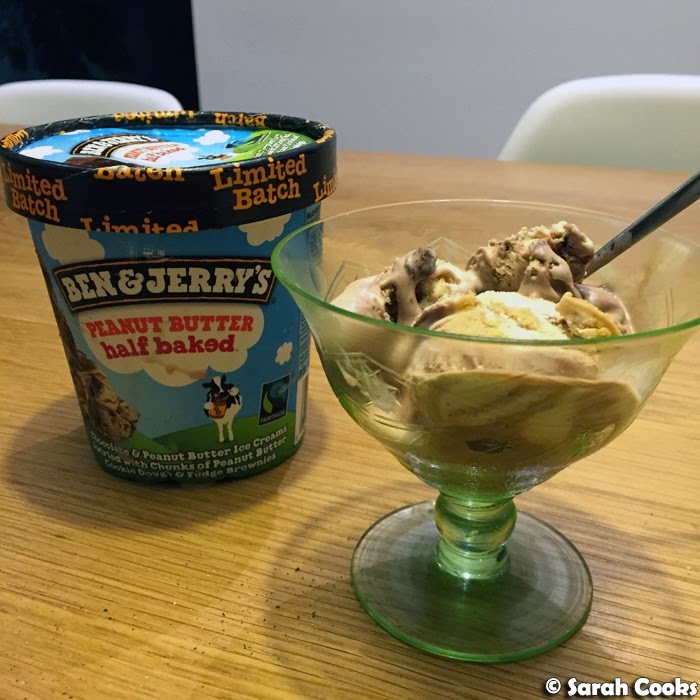 An unusual combination, but so very, very good. 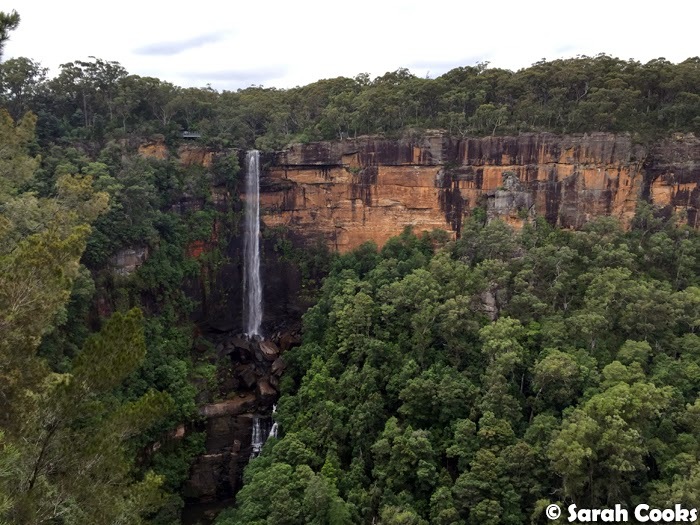 For our final day in Jervis Bay, we decided to see a bit of nature, and went for a walk in Morton National Park to see the Fitzroy Falls. 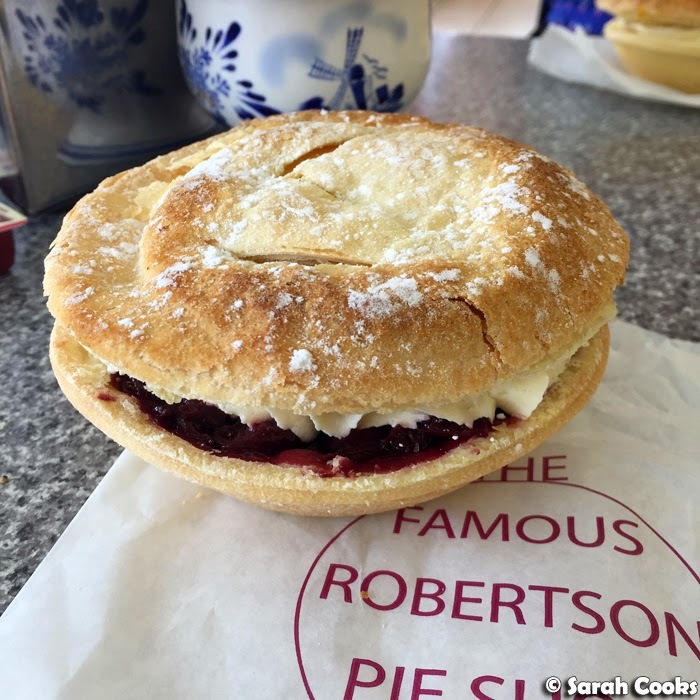 After our walking, we stopped in at The Robertson Pie Shop (4400 Illawarra Highway, Robertson, NSW 2577) for some old fashioned meat pies. 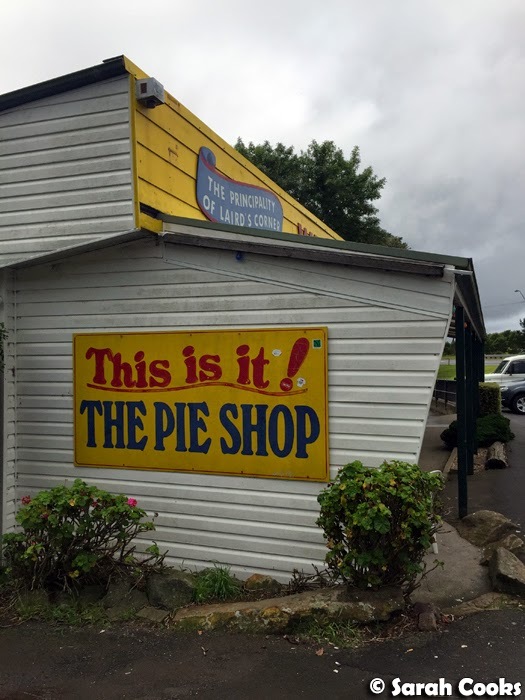 The pie shop seems to be quite famous, based on a lot of different reviews we googled, and it's hard to miss it when you drive there! 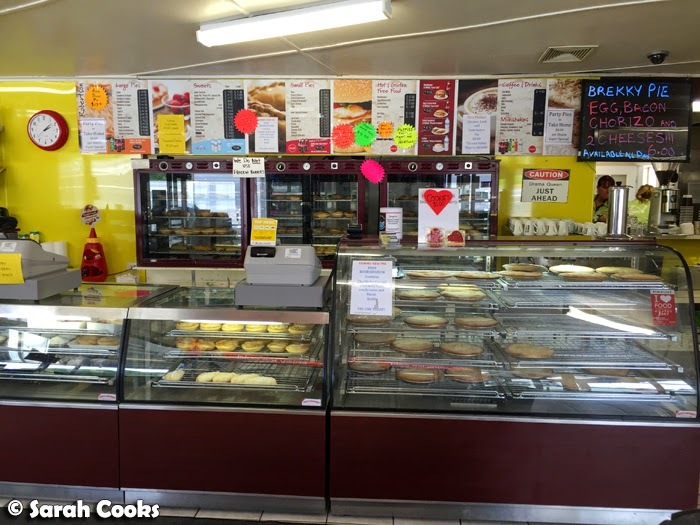 They go through a lot of pies and have a big variety of different flavours, both sweet and savoury. We went for some classics - a potato pie, a beef bourguignon pie, a steak and mushroom pie. I liked the pies - flaky pastry and tasty filling, what more do you need? 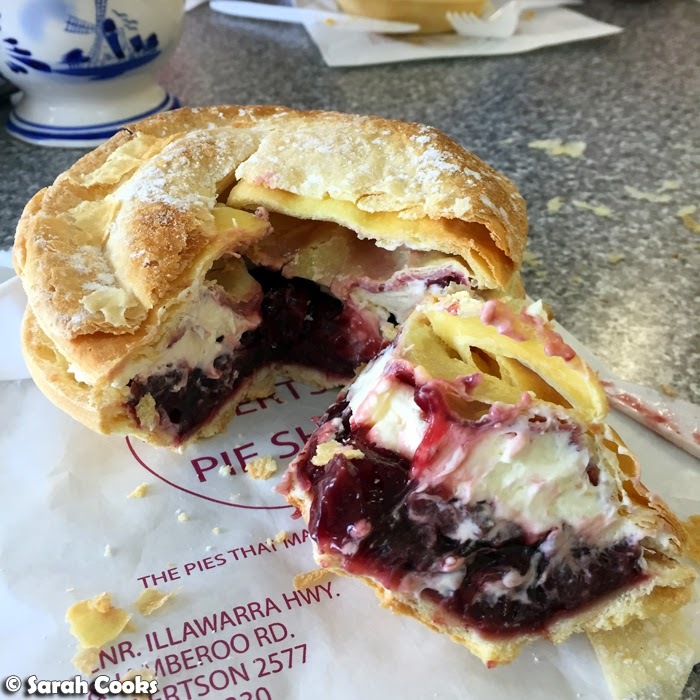 (By the way, I haven't done a lot of regional pie eating, but Kimba, who's travelled a lot throughout country Australia and eaten many a pie, thought these were no better or no worse than other pies she's had in other parts of the country). We decided to indulge in some sweet pies too (well, we were on holiday, after all!) and we got a cherry pie and a peach pie to share. You can buy them plain or, er, pre-creamed. I didn't find the sweet pies particularly impressive, as I prefer a sweeter, biscuity pastry on sweet pies, rather than the plain shortcrust base/puff pastry top that was on offer here. However, the savoury pies were quite tasty. 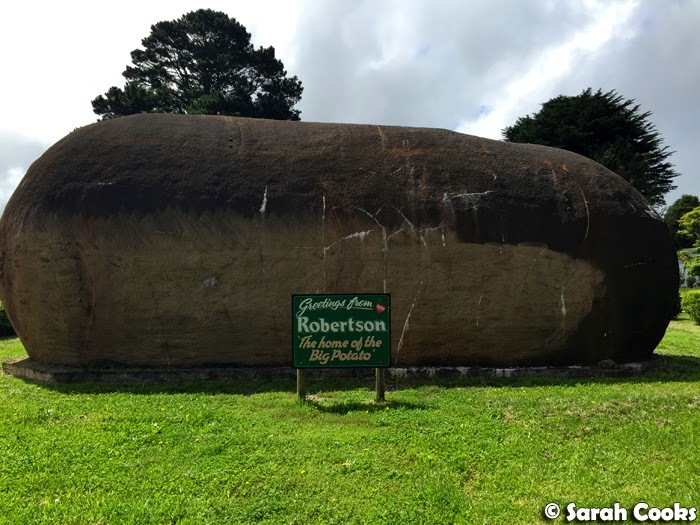 I wouldn't suggest going out of your way to eat at the Robertson Pie Shop, but if you happen to be in the area it's a good enough spot for a cheap bite. Robertson seemed to be a quiet little town (or "large village", according to Wikipedia), with a few shops. 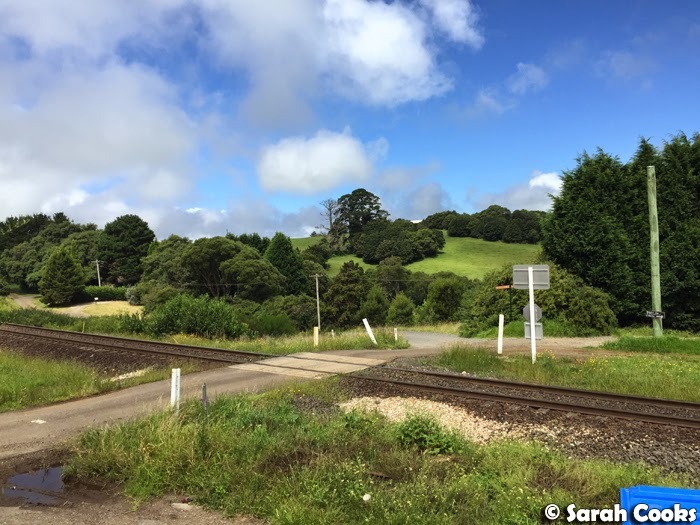 I thought it was extremely pretty, like a real life version of those pastoral scenes from Thomas the Tank Engine. You know what else Robertson has? The Giant Potato!!! This, like the Bannister's billboard, elicited a lot of squealing from me when we first drove past. (I know, I'm a total dork!) This was the first of Australia's Big Things that I've seen so far. 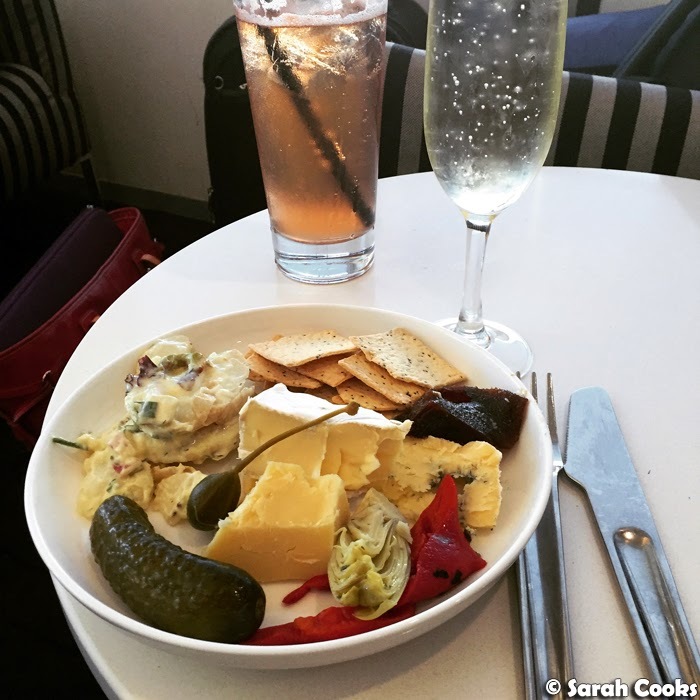 From there it was a leisurely drive back to the airport, and yes, more free food at the Qantas lounge, before boarding our flight back home and back to reality. 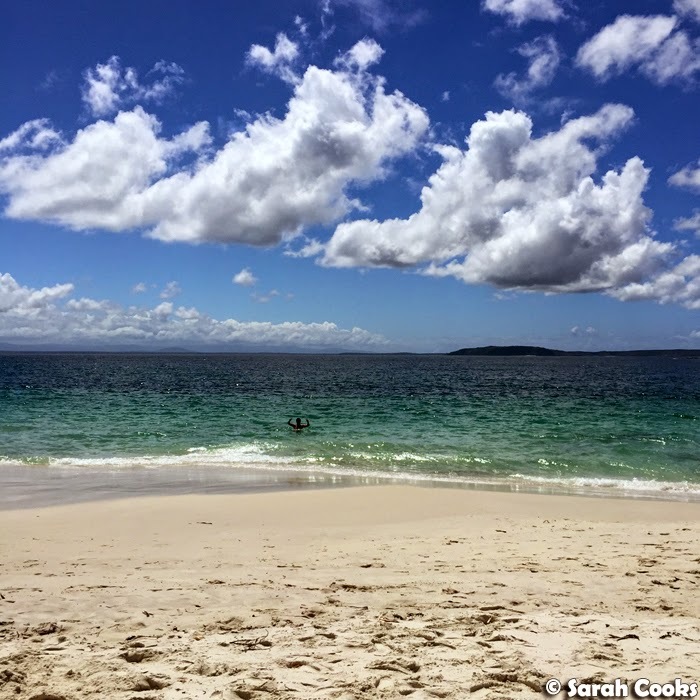 Have you been to Jervis Bay before? 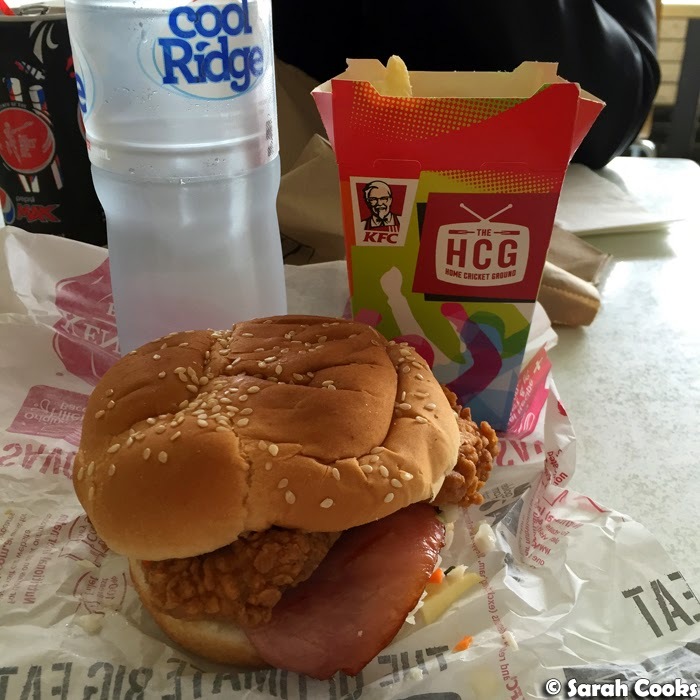 Do you have any recommendations for activities or nice eats? 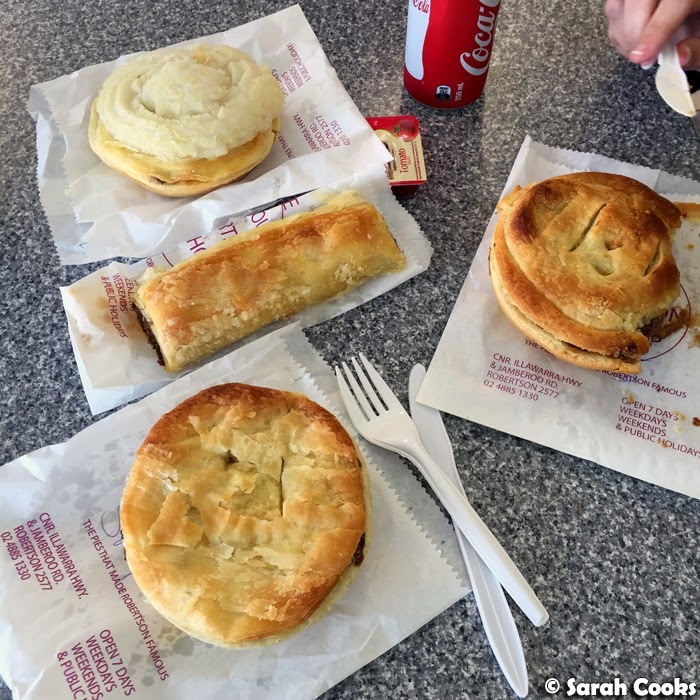 Also, for those who have travelled throughout country Australia more extensively than I have - who do you think makes the best meat pies in Australia? Thank you for not mentioning when Kimba drove on the Canadian side of the road accidentally. My parents had a holiday house down at Jervis Bay, that's where I run a muck and grew up. It's amazing to see how much it has developed over the years. Wonderful place to go and chill, love it. Looking at these pictures makes me want to grab my swim gear from storage and up and go for a holiday now! Look at those white sands calling my name!